We’re not shy about making the case for the topcoat. It’s a piece of outerwear that you easily slip over a suit on the way to your 9-to-5, or pair with jeans and a flannel shirt on the weekend. 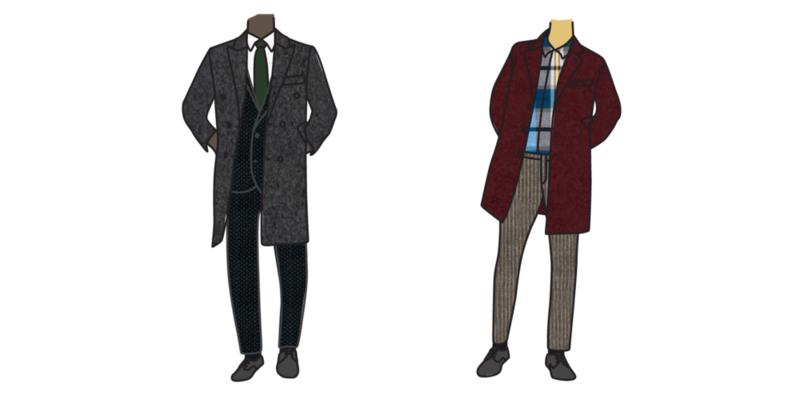 And just like other pieces of tailored clothing, topcoats come with a slate of customizations that can affect their formality or informality, and even their warmth factor. The most dramatic difference will be between a topcoat that is single breasted and a topcoat that is double breasted. In general, single breasted topcoats will appear slightly more casual than double breasted topcoats, which are elevated by peak lapels. But that doesn’t mean double breasted topcoats must be reserved exclusively for suits; they can still be dressed down with chinos and a printed shirt. On a standard placket, the buttons will be visible when the coat is fully fastened. But a covered placket places an extra piece of fabric on its non-button side, which conceals the buttons when the coat is buttoned. This gives it a slightly sleeker and more formal appearance than a topcoat with an uncovered placket. 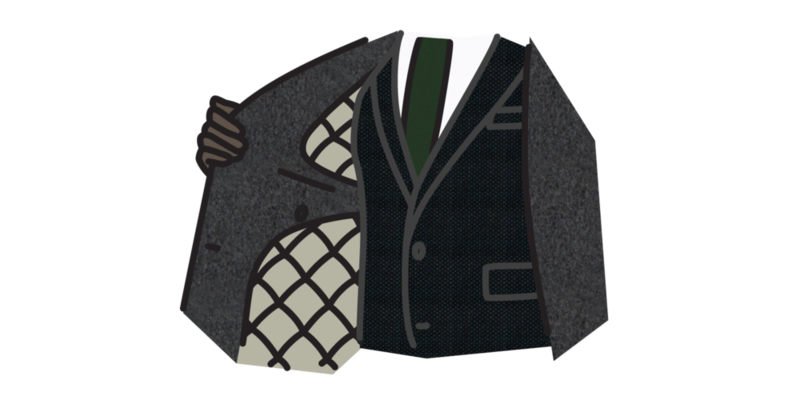 The standard lining of a topcoat is the same as the standard lining of a suit, and serves an identical purpose: it allows other clothing to be slipped underneath without catching. But considering the topcoat’s role as outerwear, lining also plays an role in insulation. A quilted lining will work in the same way as a quilted jacket to better keep out the cold.